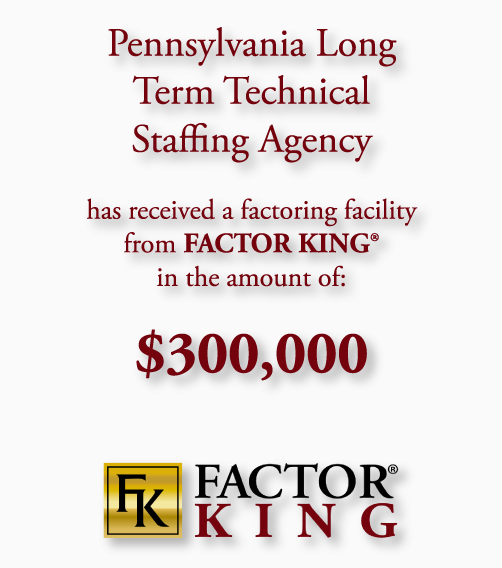 FACTOR KING® is a direct financial service provider that specializes in the Factoring of invoice receivables for companies that maintain commercial accounts receivables. Simply put, the only criteria is that your receivables be from other businesses. We handle a multitude of different sectors and our primary focus is on companies seeking 10 million dollars and under in yearly factoring volume. 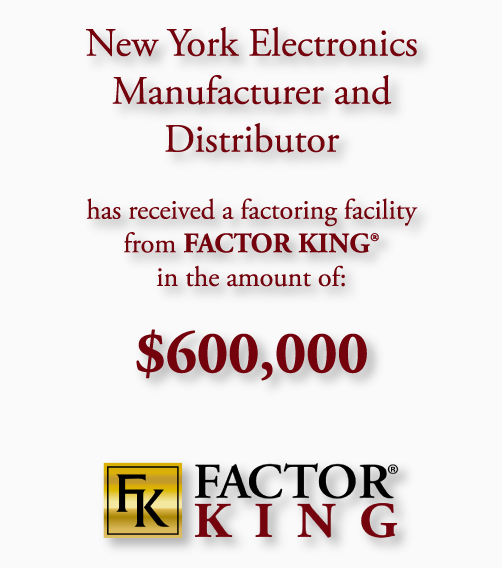 Located in New York we serve a NATIONWIDE client base of manufacturers, wholesalers, service providers, staffing services, distributors, technology services, professional and other companies. Our clients come in all shapes, sizes, sectors and industries. Our quick and easy approval process makes dealing with FACTOR KING® a pleasure from the very beginning. Our systems and procedures have been streamlined and developed to accommodate everything from the most basic to the most intense circumstances. Fill out our Apply Now Form or call a FACTOR KING® representative today. Most accounts are established within 72 hours for immediate payments. 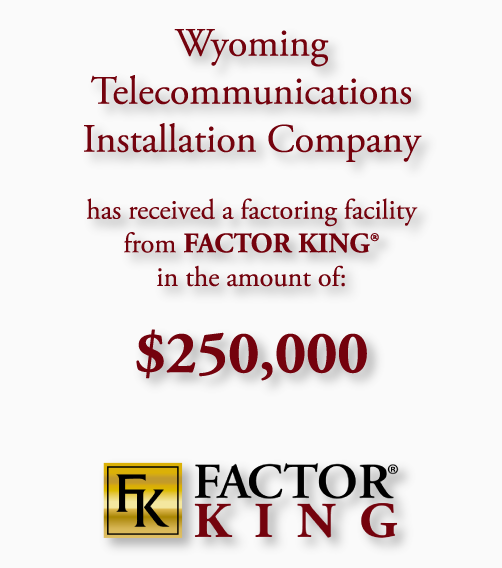 Simply Stated: Combine seasoned professionals with cutting edge technology, efficient order processing, world-class customer service, and 24 hour assistance and you have FACTOR KING!!! !